There's no doubt. Winter is well and truly here, mes amies. I've switched from Weetabix to porridge, salads to soups, and the boots are back on. Another seasonal change I enjoy is switching bright nail polishes for the dark and vampy ones which for some reason just don't look right to me during the summer months but I love them in autumn/winter. NYC have a fab range of berry shades to update your nail wardrobe for the upcoming season at unbelievable prices. L-R City Blackout, Boundless Berry, Fine Red Wine, Chelsea Cherry, Chelsea, Rock Muse Smoky Top Coat, Demon Glow Top Coat. The Expert Last Nail Polishes retail at €1.99 each while the In a New York Minute Polish and the Rock Muse Smoky Top coat are an amazing €1.29 each. The Rock Muse Smoky Top Coat also works great as a polish in its own right. The Demon Glow Top Coat (€2.49) is a deadly sounding product that is designed to glow under UV light - it would be brilliant down the dishco. The other day I made it my business to go to a public toilet that I knew had one of those blue lights in it to see if it would work under that (the things I do for this blog etc.) but unfortunately it didn't, boo. Despite the price, the quality of these polishes is not lacking. The formula is great, they apply without dragging or streaking and the lasting power is as good as any of the more expensive brands I've used. Do you change your nail polish with the seasons too? We're coming up to October which can only mean one thing... Halloween! But also Breast Cancer Awareness Month of course, and Avon have launched three lovely and affordable products as part of their Breast Cancer Crusade which celebrates its 20th anniversary this year. 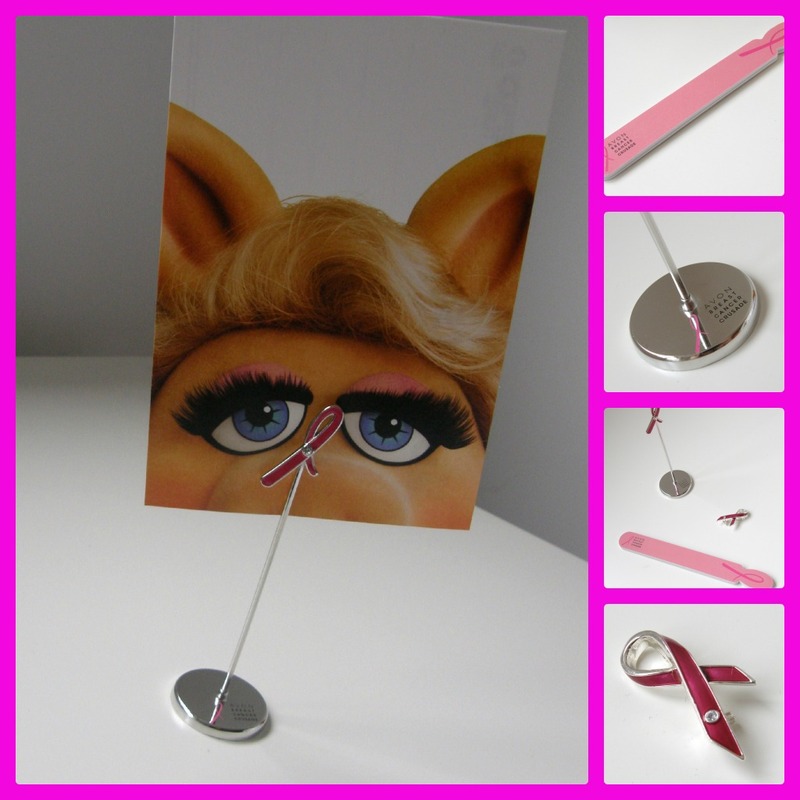 On offer is a Magenta Crusade Pin (€2.25), Crusade Nail File (€2) and Crusade Photo Clip Holder as modelled by Miss Piggy there (€3). In Ireland the proceeds from these products go to the Arc Cancer Support Centres in Dublin and Cork. I don't think there's a single family in Ireland who hasn't been affected in some way by cancer, if not breast cancer, and I know this is a major reason why so many people donate so generously to cancer charities, and ultimately why companies like Avon get behind campaigns like this. This is a great way of supporting a cancer charity and getting yourself something nice to boot! All available now from your local Avon representative. My skin is being treated very well at the moment and as opposed to it having its normal breakouts, happy healthy skin is having a bit of a break through and it's all thanks to Vichy Normaderm 3 in 1. This 3 in 1 is a cleanser, a scrub and a mask. When you use this 3 in 1 as a cleanser it helps to reduce sebum production and also removes impurities while the small exfoliating beads help to unclog pores and remove dead skin cells and when used as a mask it helps mattify the skin and give your face a clean and clear complexion. This convenient little tube contains kaolin which increases localised circulation and fights against imperfections, salicylic acid a well know anti-inflammatory, and also contains 25% clay which stimulates blood circulation and draws toxins and superfluous oil from the skin. The powers of Vichy have created a multi use product which is suitable for sensitive skin, is hypoallergenic while also being paraben free, soap free and alcohol free. I like to use this in the mornings when I am in a bit of a rush for a quick cleanse and in the mornings where I have a little more time I put it on and leave it as a mask. I have been using this every morning along with my Liz Earle Cleanse and Polish in the evenings and my skin has been reaping the awards. I love the feeling that Cleanse and Polish gives me at night but Vichy's 3 in 1 leaves the skin fresh and awake in the morning with a gentle clean fragrance. The scrubby beads in 3 in 1 are not too harsh on the skin but you still feel like they are doing their job (I find if scrubby beads are too harsh they can damage the skin). My only bit of advice with this product is make sure you rinse off all the product thoroughly otherwise you could have some of the scrubby beads left as residue on your cheeks or some of the white cream can get trapped around the crevices of your face. My system of using the 3 in 1 Cleanser to wake up my skin in the mornings and Cleanse and Polish at night has given me a run of spot free skin which is pretty amazing on my oily skin and apart from the single chipper induced spot (my own fault - what can I say, the smell of chips gets to me) I have been spot free since I have started using the cleanser. The 3 in 1 cleanser is perfect for a no fuss morning routine and would also be perfect for travel. You can pick up Normaderm 3 in 1 Cleanser in most pharmacies where it costs €13.25 which is a fantastic price for a cleanser let alone a cleanser, scrub and mask. I think we're all fairly au fait with micellar lotions/waters these days, non? If not, basically they're fancy (usually French) waters that remove your make-up in a jiffy. The most hyped of them all is Bioderma's Sensibo H2o Solution Micellaire which has acquired somewhat of a cult status, possibly because it's not easily available to us in Ireland or in the UK. There are, however, some great ones that are easily accessible on our shores. 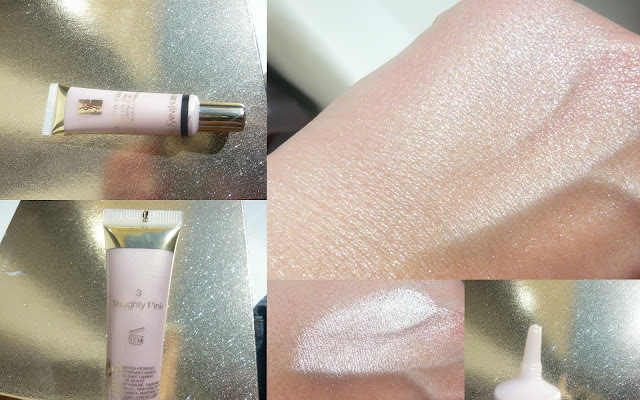 Mags wrote about one of La Roche Posay's offerings here and I've also tried one from Vichy. The one I'm using at the moment is Avène's Lotion Micellaire. This has been developed for sensitive skin prone to redness, contains Avène Thermal Spring Water, and is free from preservatives, soap, oil and alcohol. My bottle got damaged in transit, resulting in the top coming off and some of the product leaking, so I transferred it into one of those pump dispenser bottles that are used in nail salons. You can get them in salon supply shops and ebay. It is actually perfect for micellar waters, it allows you to dispense just the right amount and there's no mess or waste. I'm doing this with all of them from now on. In fact all micellar waters should come packaged like this! Avène Lotion Micellaire is €15.26 for 200mls. Every once in a while I go through my make up collection - I clear some of it out (give to friends or the bin if necessary) and when I am lucky I find some gems that I have been keeping hidden from myself. 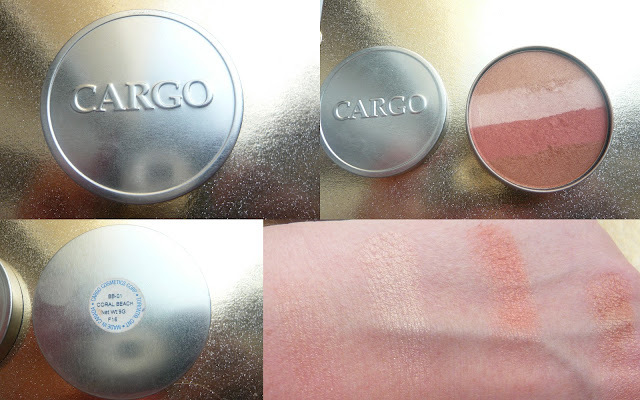 Cargo isn't readily available in Ireland and I picked this up when I was in America a number of years ago (no doubt part of one of the value packs I love so much). I was obviously keeping this for "good" use but I decided the time is nigh for beautifully bronzed cheeks. Coral Beach is like a blusher and bronzer got married and then decided to invite a highlighter along to spice things up. As the name describes, the Coral Beach gives a coral bronze effect (insert sayings like - right up my street, just my cup of tea, etc. here). These little metal tins are described as beach blush and they give that ruddy glow that you would naturally get from the sun. One swipe gives you coloured pretty cheeks - and temples, or wherever you choose to place your bronzer. It's an easy to use product which makes me question my sanity - why did I keep it from myself? The product is housed in a little tin - while it's cute, I am not mad about it, I wouldn't feel comfortable bringing this out in my makeup bag but you get a ton of product (9g is a ton... right?) so its all about product with minimal packaging. The product provides a subtle gleam to the skin - so you don't need a highlighter. 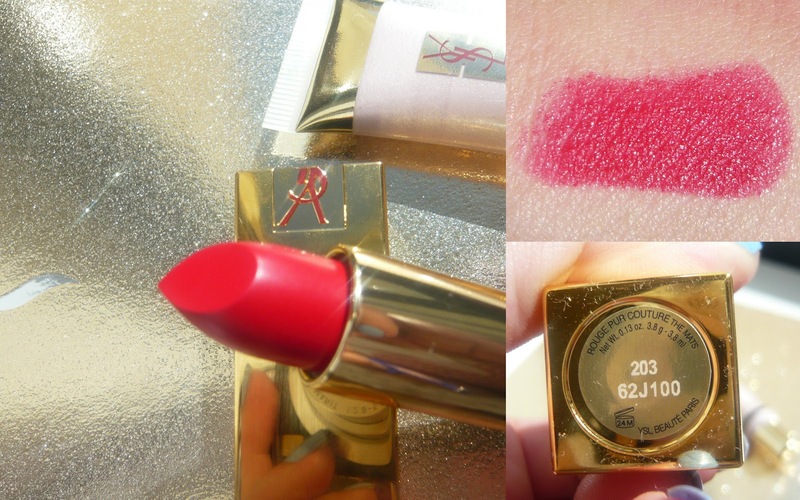 Above I added YSL's dare to glow illuminator (read about it here) cause if I am going to glow I am going to Glow Worm glow. 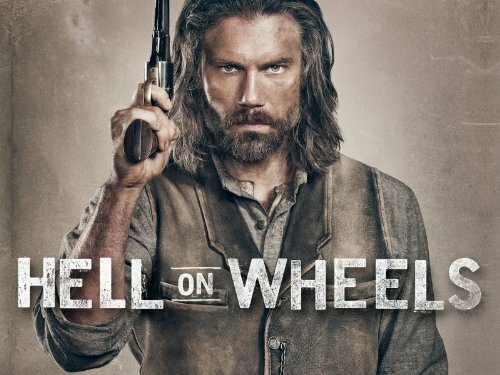 I have been reaching for this constantly for the past couple of weeks since I rediscovered it. I love the effect it gives even if I am not mad on the packaging. Beauty Bay have a very limited selction of Cargo products (they also stock my beloved Stila) and offer free shipping. They don't currently have Coral Beach in stock but check out their other beach bronzers here where they cost €20.60 - quite possibly the most randomly priced product ever. I also discoverd a bronzer and lip gloss I was keeping for "good" - I'll let you know how I get on. Have you tried any Cargo? Its officially Stila day today - are you all excited? Today Stila open their counter in Harvey Nichols Dublin and I wanted to show you their new fancy foundation that will take prime position on the counter. Stila are well known for their foundation - they are all about creating perfect glowing skin. Stay all day foundation is everything that you need to create perfect skin, and when I mean everything I mean everything, the foundation is not just a foundation, it also has a brush to apply the foundation AND a concealer all in one handy pack. Instead of a pump, the foundation is dispensed using a spatula. I think this is a handy way to dispense foundation but I know that some people hate anything that could get contaminated with germs. The foundation is very different from the recent foundation releases that we have seen - a lot of the new foundation releases have been thin and watery with Stay all Day Stila have gone in the opposite direction with a thicker cream/moose consistency. The foundation, like the rest of Stila's autumn collection, has a matte finish but it doesn't create a drying or cakey consistency, in fact the foundation uses the Chinese healing powers of ginseng and gynoslemma to help nourish dry skin and to help the skin to breathe. 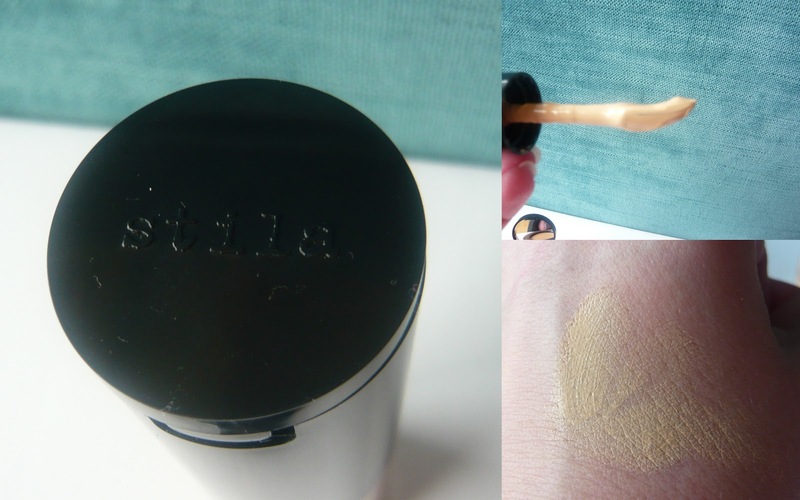 The foundation has medium coverage but is buildable and as it says on the box, long wearing. What I noticed most about the foundation is how it feels on the skin - it feels like my own skin except better. I don't like heavy foundation and from looking at Stay all Day I thought the coverage would feel too heavy - but it creates a beautiful finish but even more beautiful is the light feeling that it leaves on the skin. The foundation probably feels so light because it uses an oxygenating formula to help the skin breath and is also oil free, hypoallergenic, fragrance free and paraben free. But that's not all - the foundation also includes a concealer which is an ultra creamy formulation with added skin care benefits. Vitamins A, C provide antioxidant benefits, while Vitamin E acts to prevent premature ageing - I love you Stila for helping keep me young. Above on one side of my face I have applied the shade Hue - which as you can see is too dark for me, but the colour blends so well that when you see it on my whole face it looks lovely (except for around my nose where I forgot to apply concealer). Stila Stay all Day Foundation costs £29.50 and for that you're getting a foundation, concealer and a makeup brush. The foundation comes in 16 shades which you can check out at Stila.co.uk or of course at Stila's new counter in Harvey Nichols. 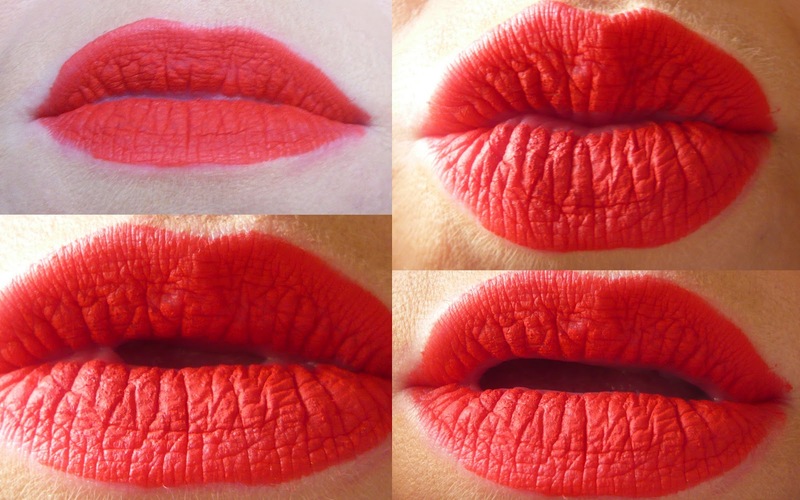 I am an equal opportunist bright lippy lover - I will try any brand as long as the colour catches my eye. 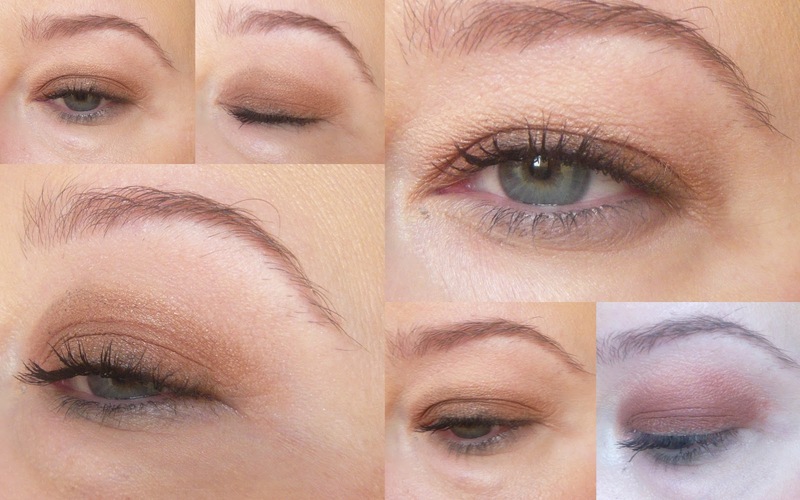 A little while ago I was at the Bare Minerals counter when the colour Ambition caught my eye. Bare Minerals Pretty Amazing Lip colours are a liquid lipstick that give the shine of a gloss with none of the stickiness. The applicators are flexible so they mould to the shape of your lips. 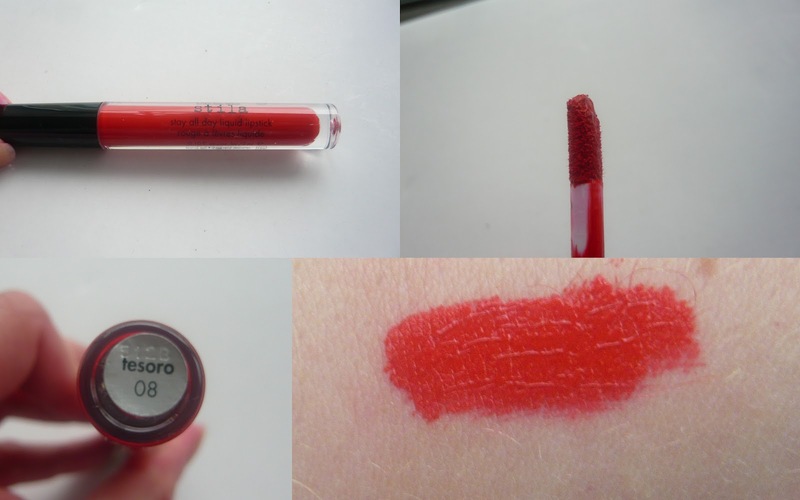 Pretty Amazing lip colours are easy to wear, easy to apply and all in all a great product for €18.00. 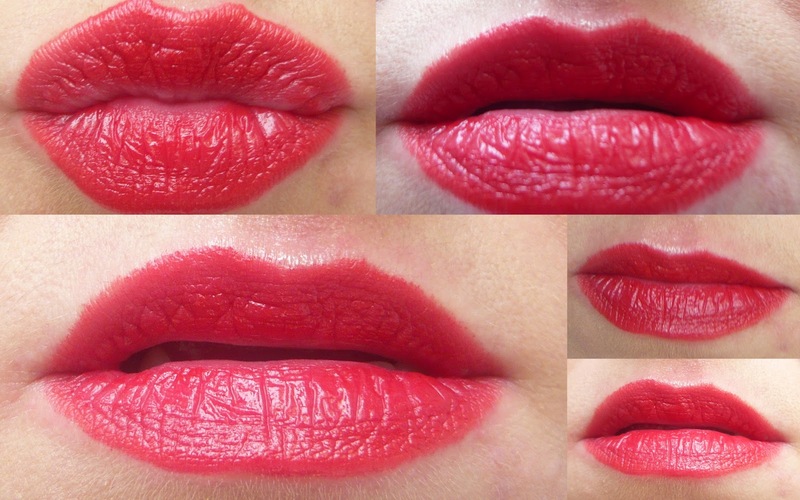 Have you tried any Pretty Amazing lip colours? I'm a bit late with this post, seeing as my holiday seems like a distant memory at this point and everyone is in September, Autumn, back-to-school, opaque tights, sure-it's-nearly-Christmas mode. However, I always like these kind of 'what's in my holiday make-up bag' posts cause I think it gives an indication of what the person considers to be essential, can't be without, products. So here it is! Estée Lauder bronzer, Avene Tinted Compact*, Mac Studio Finish Concealer, Benefit Watt's Up highlighter, Mac Blot powder (in Heatherette compact), Bobbi Brown cream eyeshadow, Catrice eyeshadow (that I use to fill in brows), random brow brush, Maybelline cream eyeshadow, Hawaiian Tropic SPF lipgloss, Benefit High Beam & Posie Tint, Touche Eclat, Illamasqua lip pencil, Clarins 3 Dot liner*, Mac Kohl in Teddy, Clinique Chubby Stick, Top Shop lipstick, Maybelline waterproof mascara, Collection 2000 concealer, Avon mascara, YSL Touche Eclat foundation, Revlon Lip Butter, Real Techniques blusher brush and Tarte Amazonian Clay blusher. I know. The Avène SPF50 Tinted Compact* was a Godsend. That, the Maybelline The Falsies waterproof mascara and the Hawaiian Tropic lipgloss (which I got free with a razor!) were all I needed for day time and at night I just added eyeliner, concealer and the Topshop lipstick. Someone please remind me of this post before I go on holidays next year. Considering I spent my days doing this, I should've known. I also brought a few nail polishes with me that got no use because nail polish was literally melting off me! Has anyone tried Shellac in hot weather? 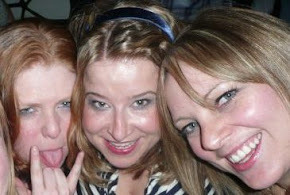 And do you wear a lot less make-up in hot climates/on holidays? Did you know you can have a wide range of beauty treatments done at your local branch of The Body Shop? They kindly offered to have us try out some of these treats at their Liffey Valley branch recently. Eyebrow threading costs €12 and you can also have a host of other related treatments done such as eyelash and eyebrow tinting, and threading on other areas of the face. What I love about it is that it's a walk in service and you can just pop in while you're doing your shopping - you don't have to bother making out-of-your-way salon appointments. We were then treated to a mini-facial by Donna, who was probably the most informative facialist we've ever been to. She really knows her stuff and is full of skincare tips and advice. She also had the knack of making you forget you were having a facial in the middle of a shop! These facials cost €15 which is redeemable against the purchase of any skincare products. If you are looking for new skincare, I would definitely recommend trying some products out by way of one of these facials. The Body Shop are also generous with samples so you can try stuff out at home too. We were introduced to some stand out products such as Vitamin C Microdermabrasion - reviews coming up. Lastly, we were given a makeover by the lovely Tara, who used some of the Body Shop products we know and love such as their legendary Shimmer Cubes. 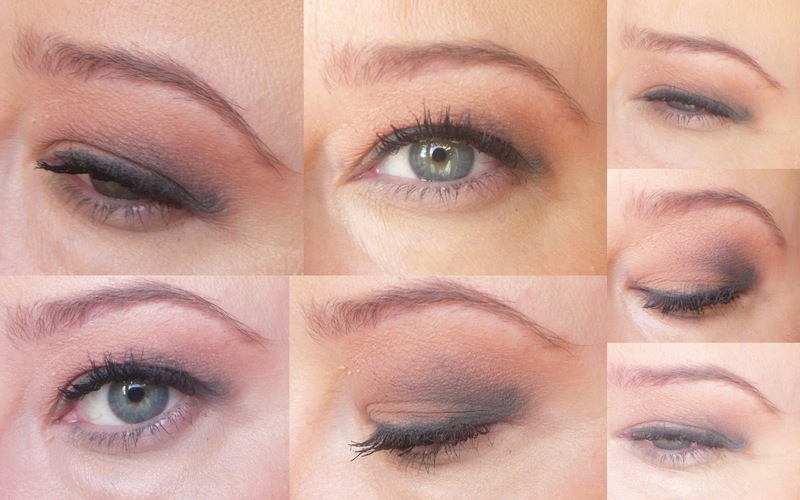 Again makeovers are €15 redeemable against purchase and again, are a great way of trying out some new products. We left the shop looking like absolute rides and sashayed around Liffey Valley lunching and shopping for the afternoon :-) I would highly recommend popping in to The Body Shop and 'treat'ing yourself next time you're out shopping. Autumn is here, I know some people are delighted but that would be people that live in an area where the sun also resides - alas in Ireland the sun hasnt really shown its face, or perhaps that hat the sun sometimes wears is just covering us in shade (damn you sun hat). I love summer but since I like to look on the bright side I am always happy to see new season's makeup collections. This Autumn Stila have a cracking collection which is centred around long wearing matte products. Matte makeup seems to be a big trend across makeup lines this autumn but I think if you're looking for matte eyeshadow Stila has you covered. Stila have added to their already impressive range of colour palettes by introducing a matte eye shadow palette called "In the Know". When you receive an order from Stila.co.uk they dont just thow the makeup in a bag, it's presented in beautiful pink packaging - it almost makes you not want to open it. In the Know palette is a beautiful turquoise/teal colour and comes with a look book which contains 6 different looks in case you need a bit of inspiration. The palette has a mirror which is an improvement on the previous versions. As you can see one of the shadows got broken in transit but the poor package had to be sent three times because An Post had decided my address did not exist - both my address and myself do exist, we are not figments of your imagination. Of course when the package finally arrived I danced around the house with it - seriously at this stage the palette could apply for some sort of makeup asylum after all it's been through. 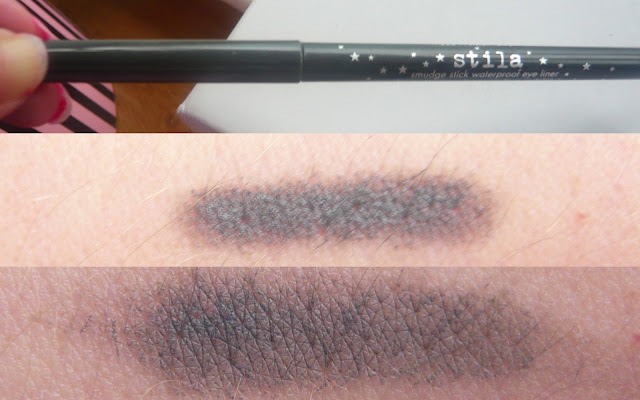 Stila shadows can be used wet and dry and the matte shadows are no exception (the wet swatch was scientifically done using a finger dampened with a wet wipe). What I found interesting about this palette was the shadows were really pigmented when swatched dry so the wet swatches slightly intensified the pigment. (Excuse the wonky arm, its not at a good angle). As always these palettes include a smudge stick, to me this just adds to the value. I love smudge sticks, they're so soft but also really pigmented and are a staple in my makeup bag. The shade that is included in the In the Know palette is Halfmoon which is a matte charcoal grey. Some might question a grey liner but this colour is pure genius, it accentuates the eye without being as harsh as black. A number of years ago Stila had a grey mascara out. My friend who has very long but fair lashes became obsessed by it. 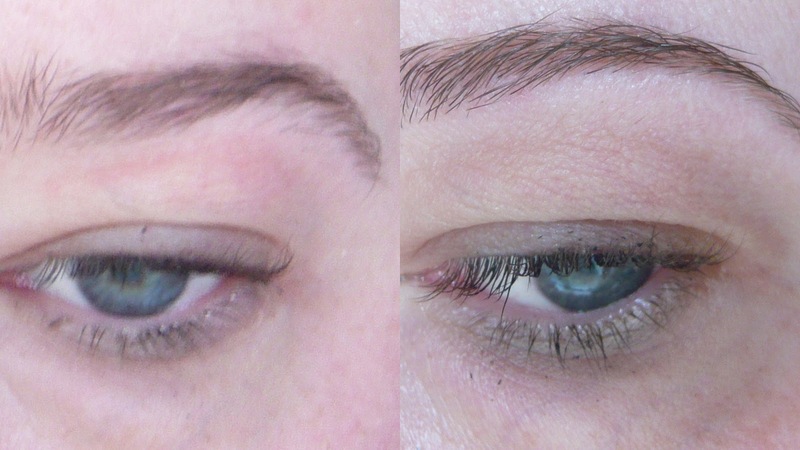 The grey mascara, although it seems like an odd choice was naturally flattering and defining. I am obsessed with Half moon it makes my lash line look really thick and full. The look book talks you through 6 different looks (two of which picured below) but with 10 shadows the options are endless. What do I think of the palette? If you have read this blog for any amount of time you will know that I have a love/hate relationship with matte shadows... I love to hate them. Generally I find matte shadows hard to work with as they are either chalky or don't blend well. For the most part I just avoid them. In the Know palette has really changed my opinion of matte shadows, Stila have infused their award winning shadow secrets into this matte palette and it is simply stunning. The shadows are really pigmented and easy to blend. As I have small eyes I always use a bit of shimmer to open them up - I have been using air to neutralise any redness on my eyelid. Not only do I love the palette, I am kind of obsessed by it - even more than I am with Stila's other palettes. I think its the fact that they have managed to master matte shadows and have added such a perfect eyeliner - it's the perfect combination. I also think this palette shows that Stila is a makeup artist brand. Since Stila have started to bring out these palettes I rarely use anything else and the In the Know palette has really surprised me - with the other palettes I knew I would like the shades and the consistency and I wasn't sure I would like the In the Know palette and what a wonderful surprise it turned out to be. Stila will be opening an amazing new counter in Harvey Nichols Dundrum on the 12th September - that's one week from today people, how exciting is that? You can come and have a look at this wonderful palette which will set you back £25.00 or about €34.00. Of course if you live too far from Dundrum you can still order on-line from Stila.co.uk where there is free delivery. I will do my utmost to try and get as many Stila swatches up on the blog (it will help my obsession and your on-line shopping).